The attack bore all the traits of Islamic State in Iraq. A small unit of militants, armed with Kalashnikov rifles and suicide belts, hit the Tripoli prison just before sunrise. Blasting though a wall, four fighters worked their way through the heavily guarded compound before firing a rocket-propelled grenade to breach the cells inside. Their target, security sources say, was a jailed Libyan Islamic State militant. Clashes erupted. Two of the attackers, a Moroccan and a Sudanese, detonated suicide belts and shortly afterwards all four, and the militant, were dead. The prison break failed. But it was another illustration of the tactics employed by an Islamic State front determined to emulate the success of the group’s founders in Iraq and Syria. Four years after the overthrow of Muammar Gaddafi, Libya is locked in a conflict between two rival governments — an official one in the east, and a self-declared one controlling Tripoli — and the many armed factions that back them. Far from the battlefields of Iraq and Syria, Islamic State has steadily grown in Libya’s chaos, controlling the city of Sirte, and worrying Western governments who fear it can only become stronger in the post-revolution mess. They have left their mark on the North African state. They have massacred Christian Egyptians on a Libyan beach, publicly flogged criminals in Sirte, stormed oilfields, and attacked a five-star Tripoli hotel. But while Libya’s turmoil and history of extremism offered fertile ground, Islamic State has run up against the heavily armed factions and rival militants already in place. Even as they lay claim to Sirte, Libya’s Islamic State followers have been ousted from Derna city by local fighters, and have shown they cannot hold ground or muster the finances and oil resources they benefit from in Iraq. Libya has a long history of extremism. Men from the Libya Islamic Fighting Group fought in Afghanistan. Later, Libyan al Qaeda militants were accused in the US embassy bombings in Tanzania and Kenya in 1998. After the fall of Gaddafi, and with the steady fracturing of Libya between rival brigades of former rebels, the Islamist militants among them found room to grow. One group, Ansar al Sharia in Benghazi, was blamed for the 2012 attack that killed the US ambassador there. 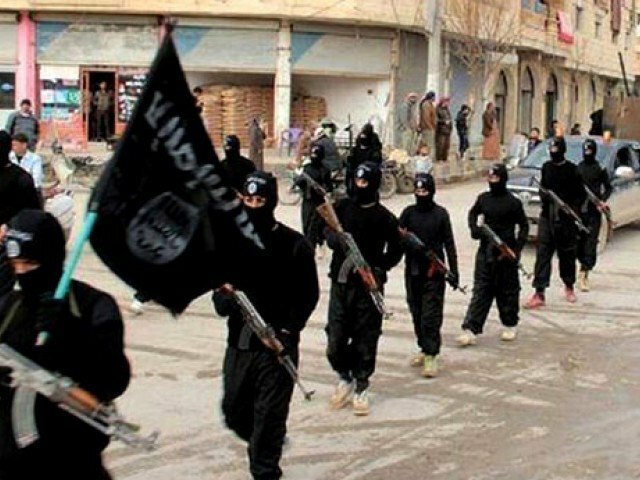 As in Iraq and Syria, Islamic State draws recruits from local groups, security sources and local residents say. But Derna also showed their limits. Even after Islamic State leaders arrived to recruit in July, fighting erupted as Derna militants and citizens fed up with foreign extremists drove Islamic State out. But in Sirte, security sources and residents say, they found a more suitable base by tapping into frustrations in Gaddafi’s home town, where many felt side-lined after the revolution. Targeted assassinations of rivals and security officials began last year, and Islamic State forces moved in force on Sirte in February and March, taking a radio station and other important buildings. Forces from Misrata — a port city that is home to one of the country’s more powerful military factions — arrived to take back Sirte. But fearing large-scale casualties and blaming a lack of support from Tripoli, they retreated, although hostilities may be resumed at some point. Security sources in Tripoli and Misrata estimate Islamic State has at least 500 fighters inside Sirte, and numbers are growing thanks to the arrival of foreign recruits. Most of Islamic State’s leaders are Libyan, some who spent time in Abu Salim prison during the Gaddafi era or had ties to Ansar al Sharia. One top leader, security sources said, is Hassan al-Karami, a Benghazi native once jailed for militancy. The SITE militant monitoring service, citing Libyan media sources, reported that Abu Ali al-Anbari, believed to be Islamic State governor for Syria directly under Islamic State leader Abu Bakr al-Baghdadi, had arrived in Sirte by sea. Tunisian gunmen who attacked foreign tourists at a hotel in Sousse and the Bardo museum in Tunis this year were trained at camps in Libya. Islamic State claimed both attacks, though they may have been tied to another group. So far, Islamic State has carried out mostly hit-and-run strikes or high-profile attacks such as the Tripoli prison assault or the attack on the Corinthia hotel in the capital, which killed nine people including a French national and an American. The group has also targeted the oil industry. It attempted to breach the defences of the Es Sider oil port, but failed. Its fighters overran oilfields south of Sirte, kidnapping several foreigners, but without taking control of the fields. “The Islamic State in Libya doesn’t have comparable revenue streams – no oil sales, no sizeable population to tax and extort,” said Geoff Porter, a North Africa expert at West Point’s Combating Terrorism Center. Events in Sirte are hard to verify. But as in Iraq and Syria, Islamic State appears to be slowly imposing its vision on the city, carrying out punishments such as crucifixions and public floggings, residents say. Taking over city institutions and banks, Islamic State forces merchants and shopkeepers to pay a tax that would normally go to the state, and an Islamic court is in place. Barbers are banned from shaving off beards and smoking Shisha pipes in cafes has been stopped. Female students have been forced to wear one-piece robes. A former bank employee and other residents said the local Islamic State organisation appeared to be struggling to manage the city financially. Prices of local goods are rising and other products are disappearing. “Life in Sirte is almost non-existent,” one resident said. “People do not have enough money to flee the city.” Twice in the last month, though, residents in Sirte say they saw unidentified warplanes attacking districts controlled by Islamic State. Neither of Libya’s two governments acknowledged responsibility though both they and foreign countries, including the United States, have carried out such raids in the past.